← Beauty and the What!? 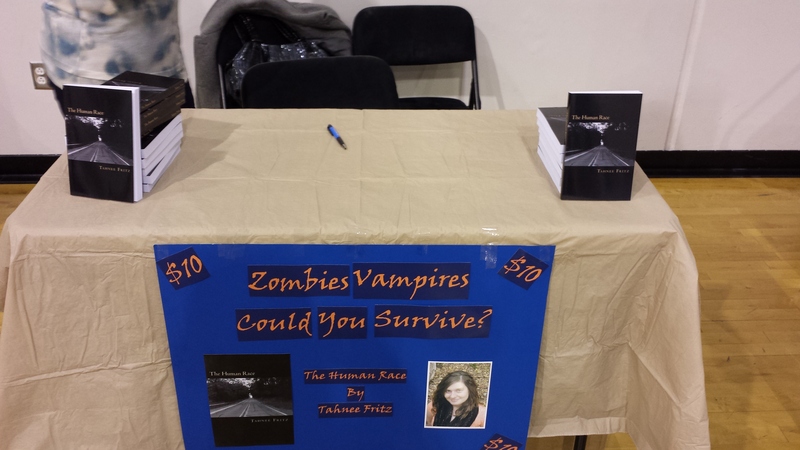 Well, Saturday I had my very first book signing for The Human Race and it went pretty awesome. It was in my old elementary school’s gymnasium for this thing they did called a Vendor Blender. 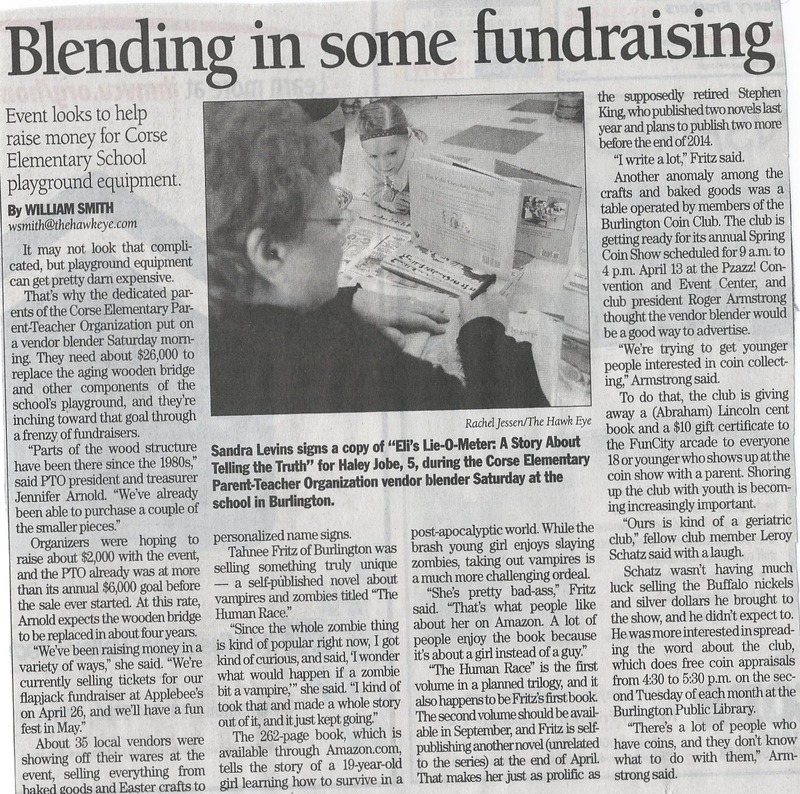 I signed and sold eight books and even did an interview with our local newspaper. I had to donate a copy to a raffle the school was doing and the lady in charge of the raffle started to read it and hated that she had to give it up so she came right over to buy one. Other than being in the newspaper, hearing that awesome woman tell me how much she got into my book after the first few pages just completely made the day totally worth it. My table might not have been the fanciest one in the place, but simple is sometimes the best. I had a lot of fun with my mom, my niece Annah, and my two great friends Bethany and Shaina. Below, I posted my simple table and the article in the paper. I was so excited about reading it, I woke up extra early yesterday morning just to buy one. That isn’t me in the picture, but I can’t help but brag at how I take up a good majority of the article. I can’t wait to do something like this again!! You will go far, I can see that with your abilities and life within!